Earlier we learnt about CSV Data Set Config and how to use it software load test plan to read data from csv file as described in my PREVIOUS POST. So now here we will talk only about usage of allow quoted data? 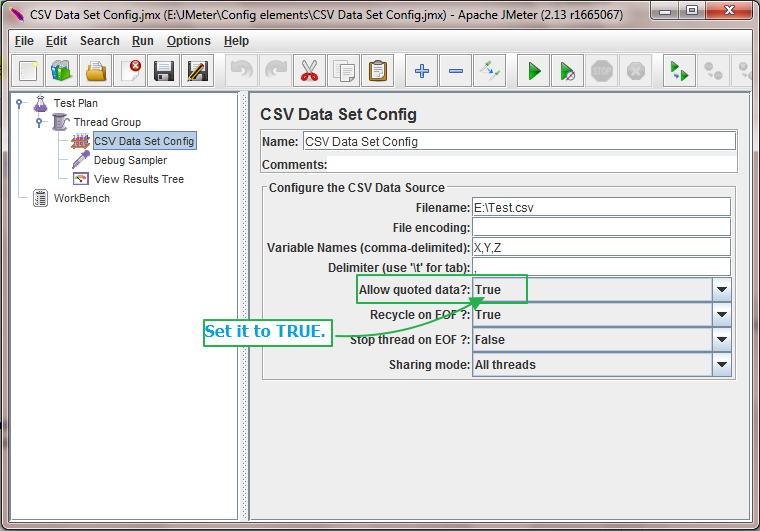 parameter of CSV data set config. Use Of Allow Quoted Data? Main usage of allow quoted data? flag in CSV data set config is to specify that you wants to read double quoted data from csv file. So if you wants to read double quoted data from file to use it in your software load test plan then you can set it to true. Else keep it false. Example On Usage Of Allow Quoted Data? 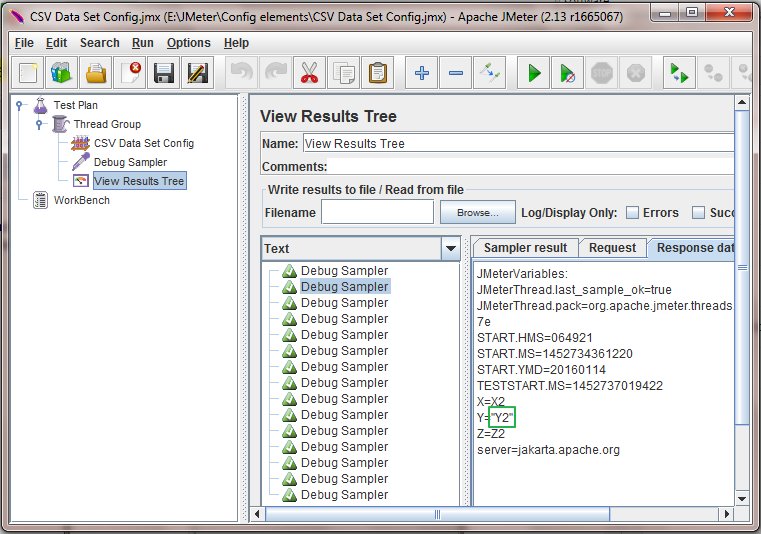 I will take same software load test plan example which is used in CSV Data Set Config(CSV Data Set Config.jmx). 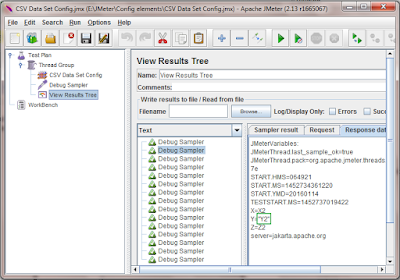 In Test.csv file, You can see that i have set "Y2" in B2 column and i wants to read it from csv file to use it in my jmeter software load test. If you wants to read this kind of double quoted values, You have to set Allow quoted data? = True in CSV Data Set Config as shown in bellow image. Now if you will run above example load test, and view response data of 2nd sample in view result in tree then it will looks like bellow. You can see that it has read double quoted data from csv file and printed. This way you can read double quoted data from csv file to use it in software load test plan.